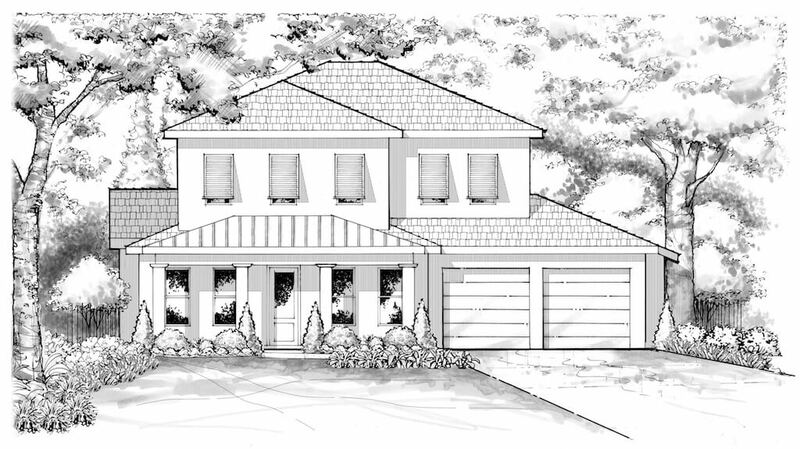 A new Coastal Modern custom home coming to the Winter Park area. With a beautiful elevation with detailed Bahama style shutters, second story siding and a mixed material roof - this home will fit right in on Oneco Ave. Boasting a large first floor with library, dining room, main gathering room, breakfast nook, eat-in kitchen, butler pantry, mud room, laundry room and master suite it's perfect for entertaining but also designed for having certain areas for privacy or function. The backyard encompasses a large back patio with summer kitchen, a perfectly sized pool and luscious landscaping. The second story has three additional bedrooms with their own bathrooms plus a loft and extra storage space. For more information please call 407.622.1600 or contact us here.